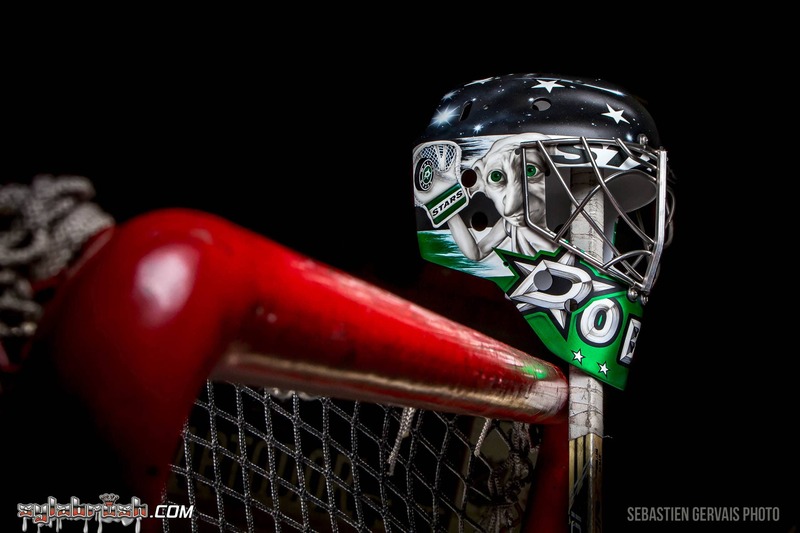 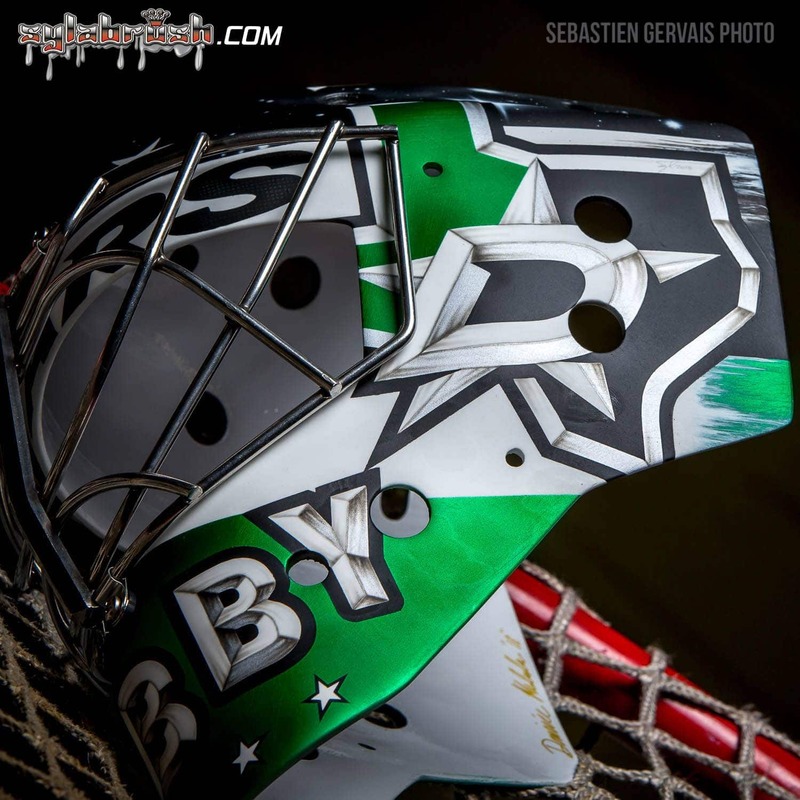 Anton Khudobin has always had his nickname “Dobby” on the chin of his mask, but he wanted something new for his first Dallas Stars edition so he asked artist Sylvie Marsolais of Sylabrush to include the Harry Potter character who shares the name. 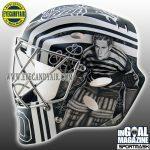 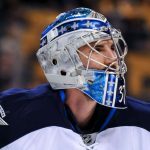 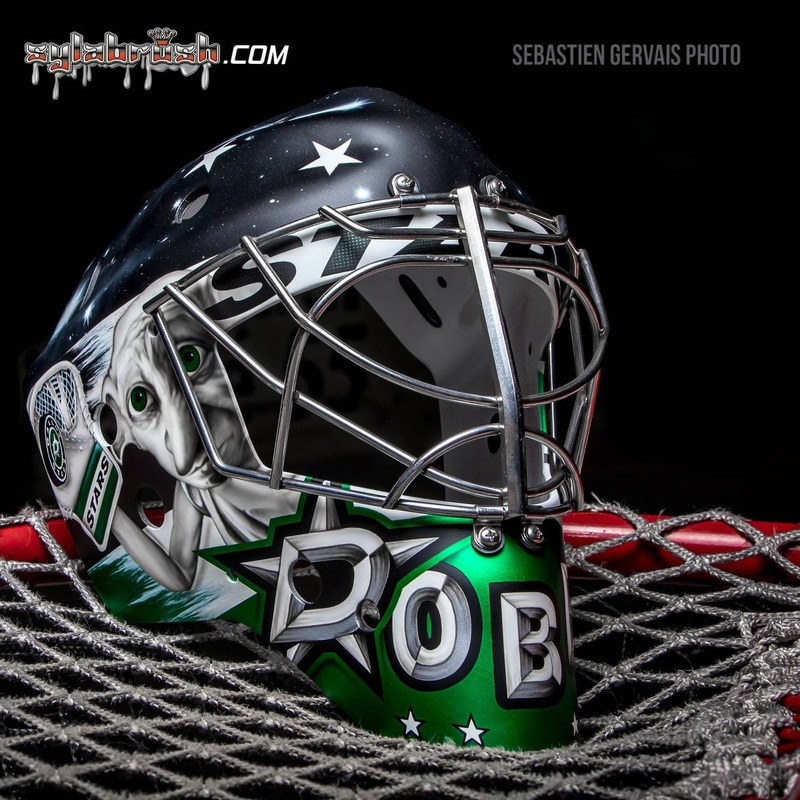 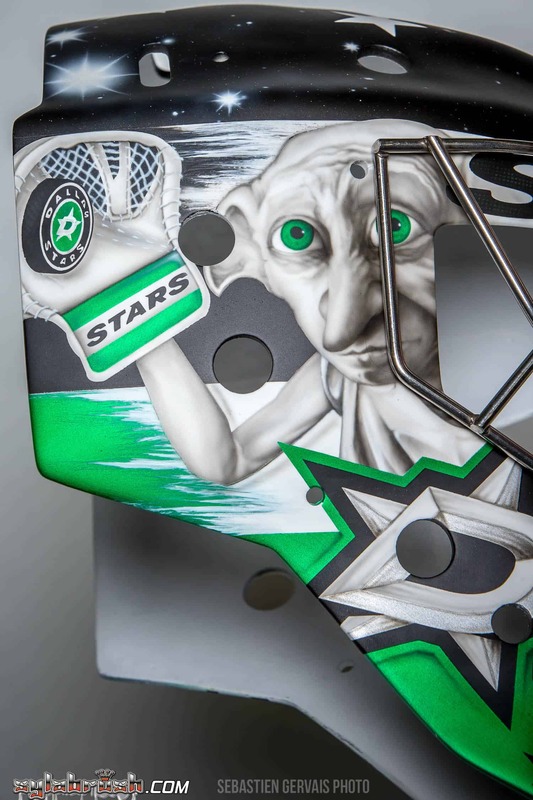 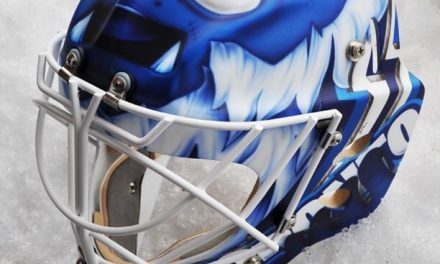 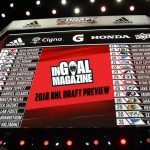 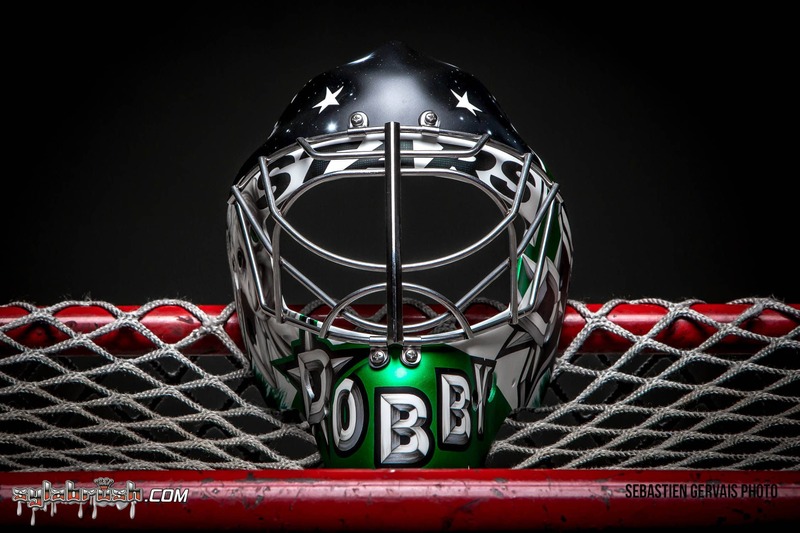 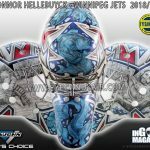 So Dobby, a “three-foot tall house-elf with bat-like ears and green eyes the size of tennis balls,” makes his NHL debut on the right side of Khudobin’s new Stars mask. 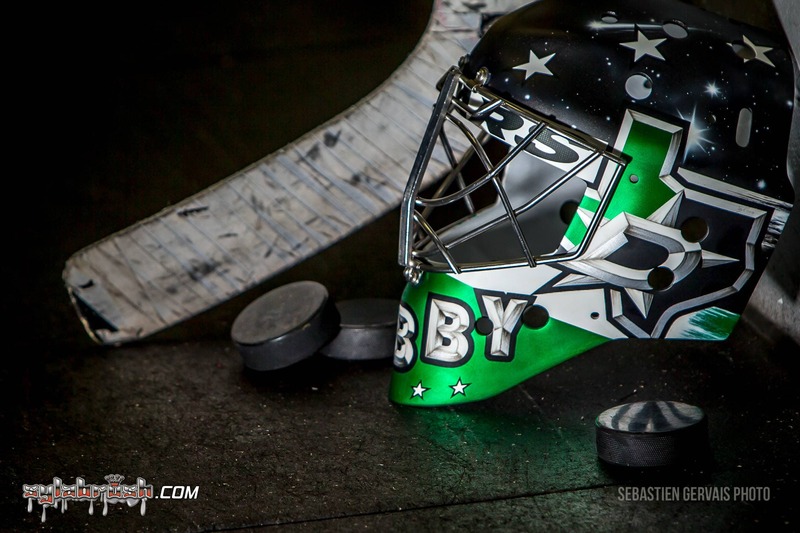 But he’s not there to simply cast magic spells on opposing shooters; Khudobin wanted his house elf to make a save. 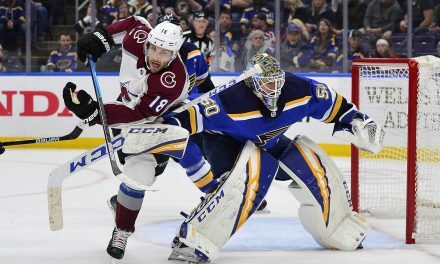 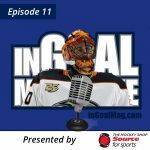 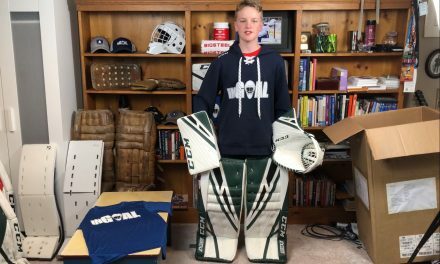 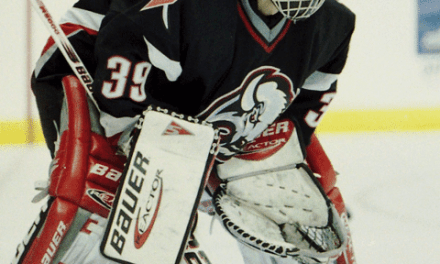 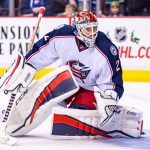 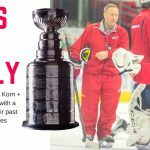 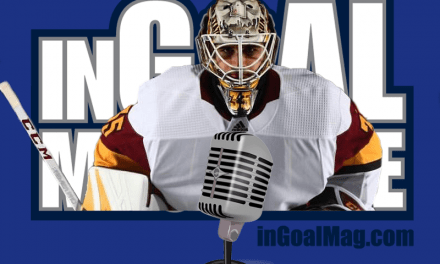 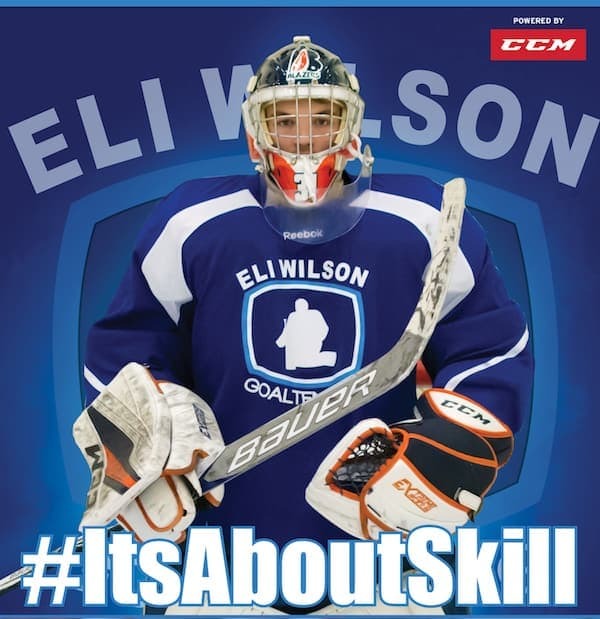 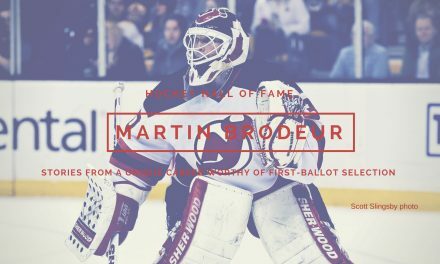 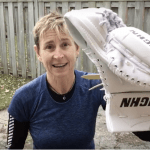 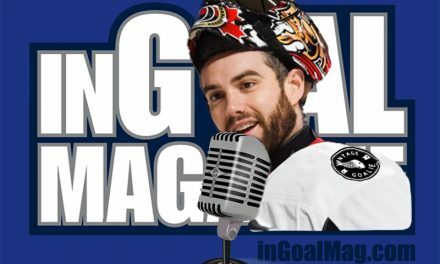 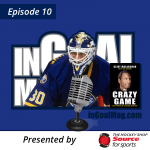 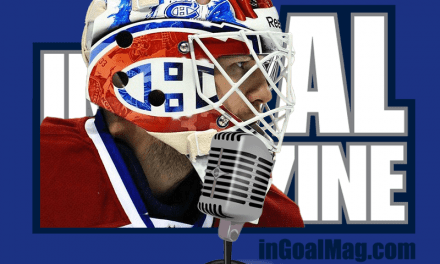 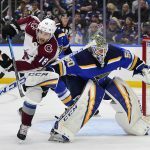 “He wanted him stop a puck with a goalie glove,” Marsolais said. 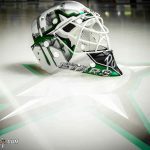 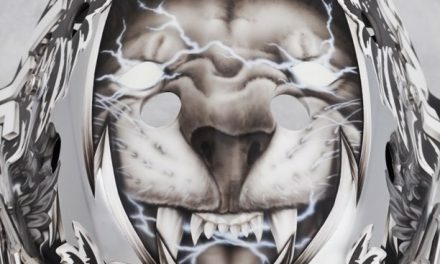 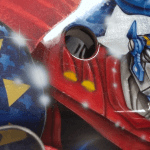 While the new addition will get the most attention, the rest of the mask is eye popping too, including an outline of Texas on the left and a brilliant night sky. 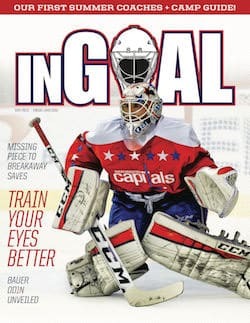 This is absolutely Fantastic. 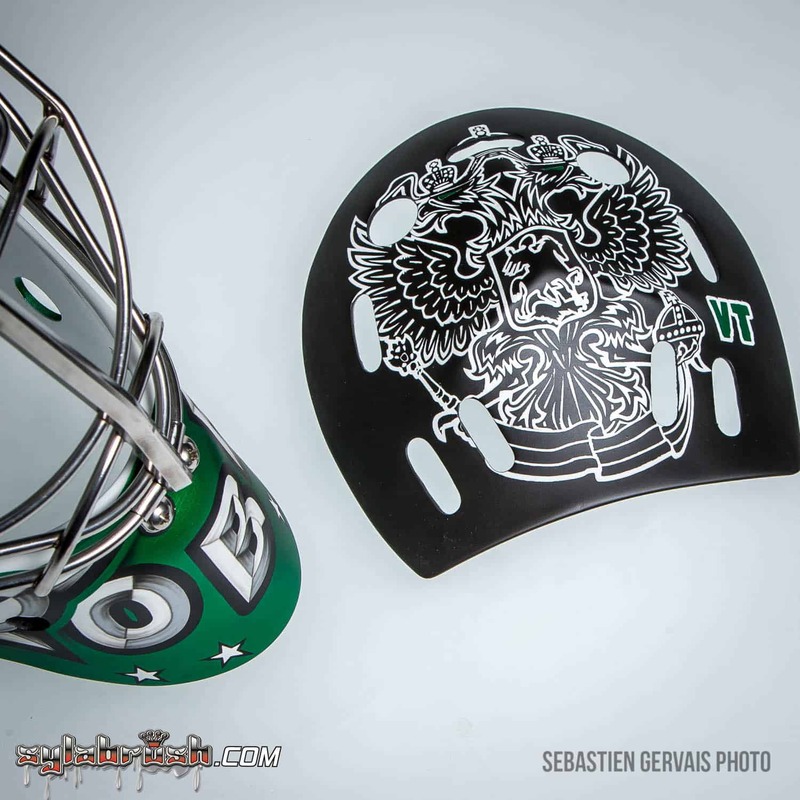 This is my new favorite goalie mask. 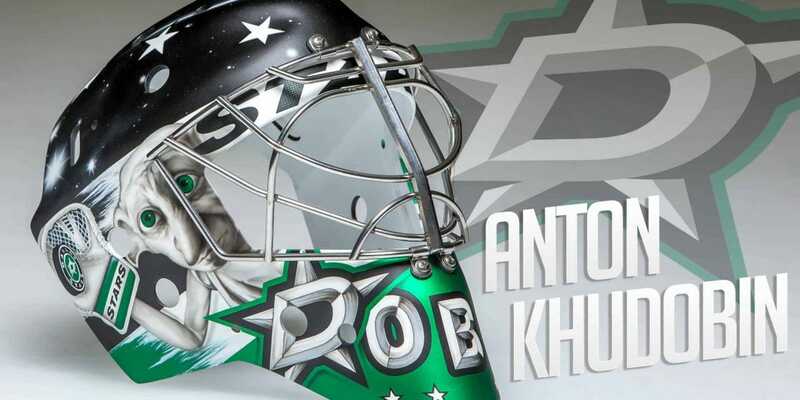 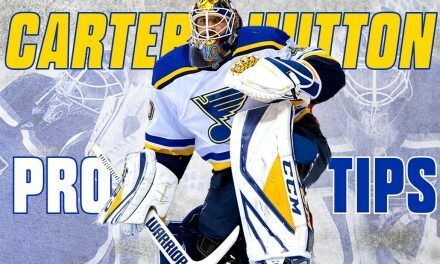 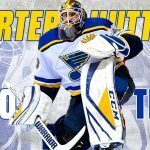 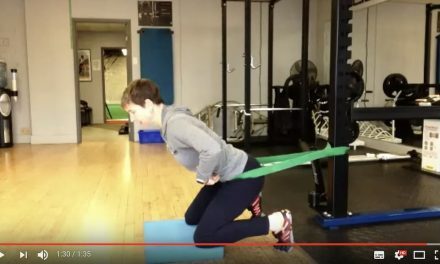 Well done Anton “Dobby” Khudobin!